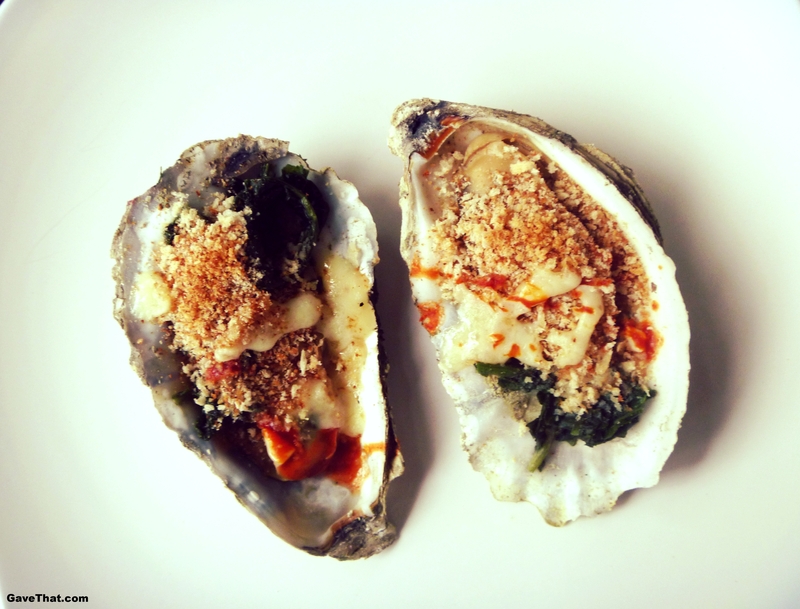 After my brother made his take on Oysters Rockefeller's for us we've never left out his secret cheesy ingredient. 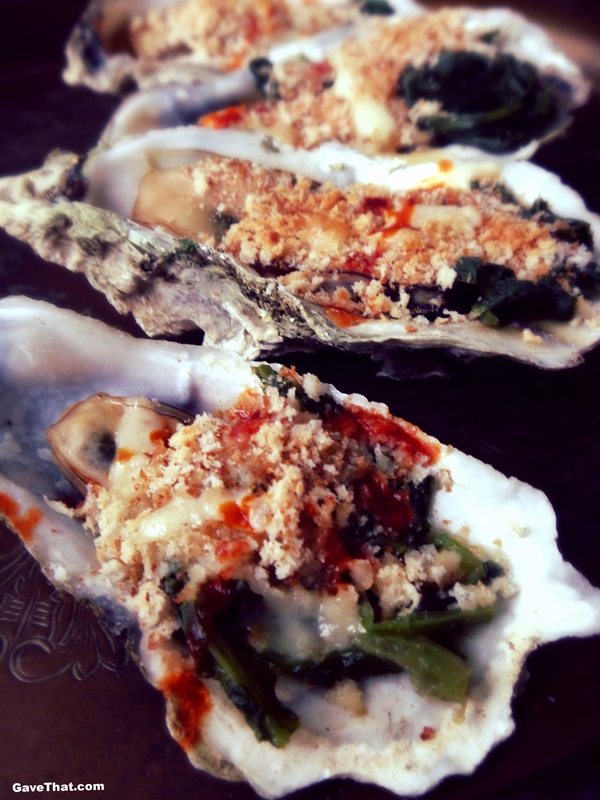 Preheat oven to 425 °F.Wash and carefully shuck oysters leaving them on the half shell and in an evenly spaced single layer on a baking pan covered in foil or coarse sea salt.In a saucepan or in the microwave cook the spinach in white wine for 2 or 3 minutes or until tender. Drain and squeeze moisture from the cooked spinach using a fork.Combine spinach, onion, garlic, cheese, butter and bread crumbs in a bowl until well incorporated. 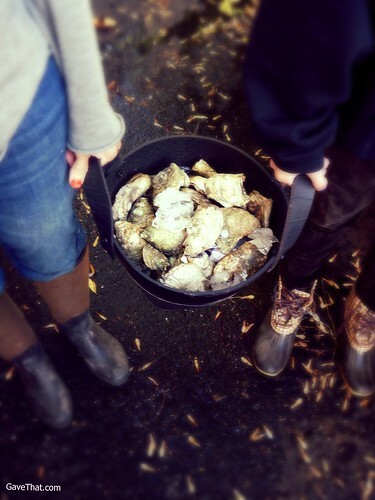 Spoon over oysters. 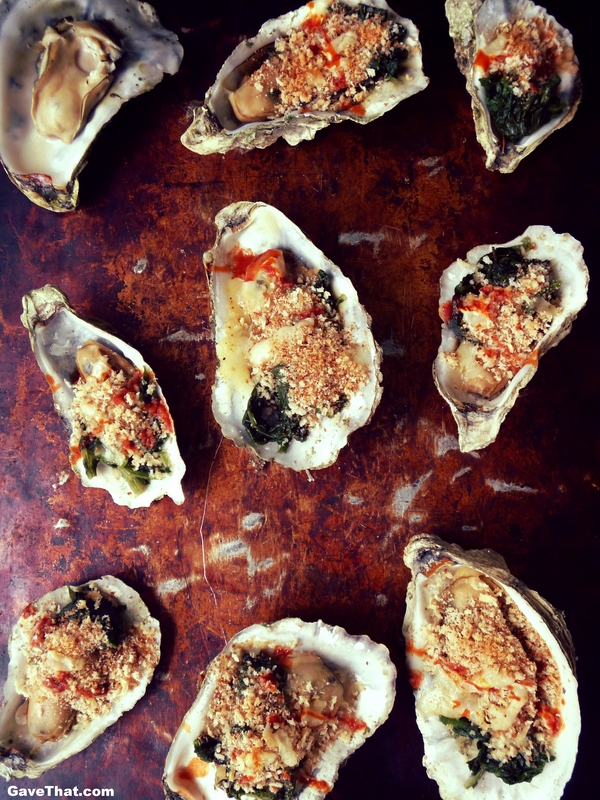 Add a dash of hot sauce to each shell and a sprinkle of parsley.Bake for 10 or 12 minutes or until the edges of the oysters slightly curl and the bread crumbs are browned, cheese oozing.